Sometimes, it’s not easy to find the exact desktop theme to match your wallpaper or the aesthetic you want for you Linux desktop. It’s not exactly easy to make your own themes, and maintain them, unless you have the right tools. Oomox is a simple application for easily generating GTK themes. Pywal customizes your desktop and X applications from an image. Combine them, and you can create custom themes to match your desktop wallpaper in seconds. How to Generate A Theme. How to Apply Your Theme. Desktop Customized with Oomox and Pywal. Pywal is the most integral part of this equation. It’s the script that you’re gong to be working directly through, and it’s the tool that will pull colors from your chosen image to generate your color scheme. Before you can get Pywal on your system, you’re going to need to install Python’s Pip package manager. There are other ways to go about this, but using Pip is by far the easiest, especially for long term management. Go ahead and install Pip for Python 3. Next, you can just use Pip to install Pywal system wide. Again, you can handle this differently, like on a user level, but this is the simplest way. Wait a few seconds while Pip installs the package. You can test that it works by running the following command as a regular user. If you see the help menu, everything is ready to go. 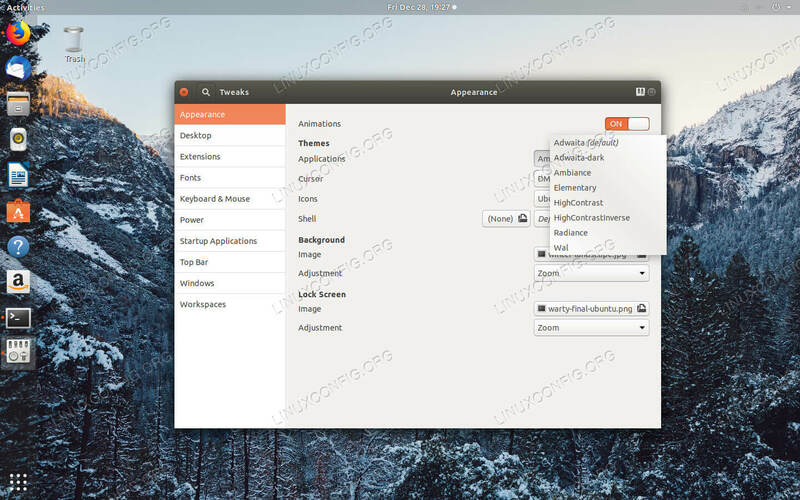 Oomox is a project designed to make creating and modifying GTK themes much easier. Oomox lets you select and customize color palates through an interactive interface. Then, it can export your theme so you can use it directly with any GTK desktop environment. Oomox isn’t available in most distribution repositories, and that includes both Debian and Ubuntu. The developers do package Oomox in a .deb, so you can download it directly from them. Swing by the project’s release page, and download the latest .deb for your distribution. The last series of digits in each package version corresponds to a version of Ubuntu. Ubuntu users should pick the right one for your install. On Debian, you’re going to need to do a bit of guess work. Generally, it’s a good idea to grab the one for the latest Ubuntu on Testing or Sid, and use the one for older Ubuntu versions on Stable. Once you have your package, install it with dpkg. Chances are, that’ll fail miserably. Use Apt to pull in the required dependencies and fix it. When Apt is done, you’ll have Oomox installed on your system. Locate a picture that you want to use as your desktop wallpaper. Pywal doesn’t really have any requirements, but it’s a good idea to use something high resolution with a reasonably diverse range of colors. In your terminal window, enter the command below. This will set your wallpaper and generate your theme. Pywal will take a couple of seconds to set everything up. 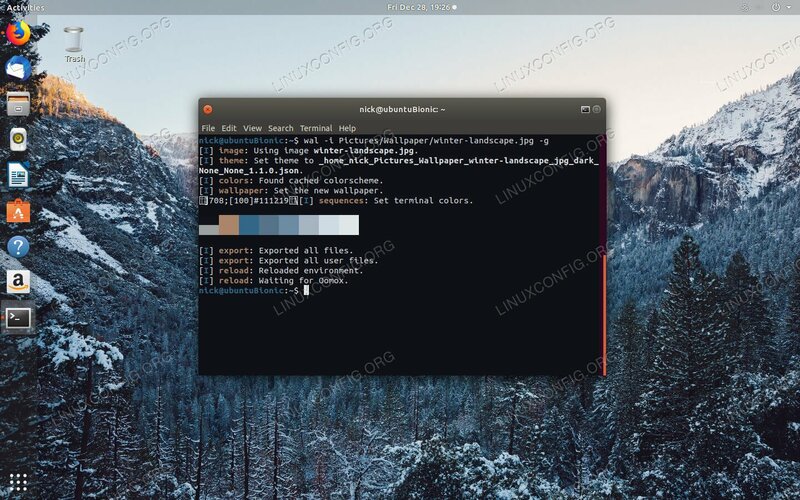 When it’s done, your terminal window will adopt the new color scheme, and Pywal will display the color palate in the window. Applying your new theme is simple. Pywal created a new theme and installed it on your computer as “Wal.” You’ll only need to open your desktop environment’s theme/appearance customization controls to set your new theme. If you’re on GNOME, that’s Tweak Tools. Open up GNOME Tweak Tools, and go under the appearance tab. Locate the drop down menu for your GTK theme, and select “Wal.” Oomox doesn’t generate GNOME shell themes, so there won’t be one of those there. When you’re done, save and apply your theme. You can now create your own themes to match your desktop wallpaper on the fly. These changes persist through reboots, so you don’t need to script anything on startup. Pywal works with a lot more than just Oomox. 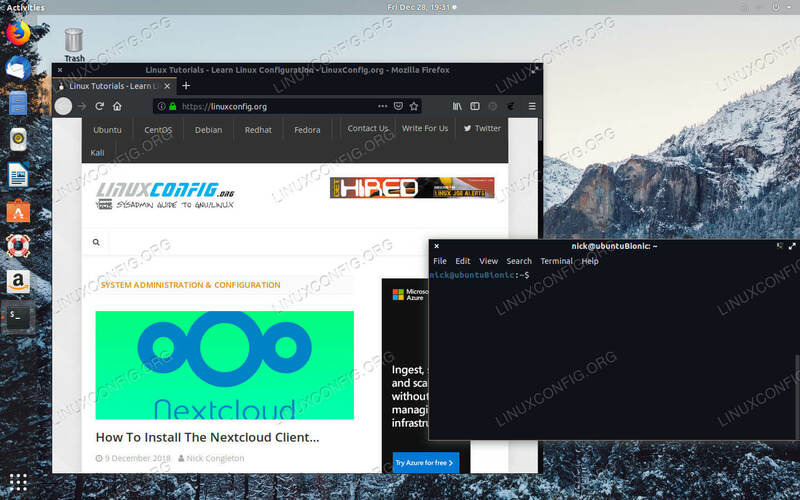 You can use it to customize and create themes for plenty of Linux applications. Check out the developer’s documentation for more ideas on using Pywal.